The United States is a nation of immigrants, and consciously or unconsciously we tend to define ourselves by our cultural and ethnic heritage. For students looking to find scholarships to help pay for college, that cultural heritage may offer a direct line to valuable financial aid. College-bound students of Italian descent have access to a wide variety of scholarships supported by the Italian-American community. These programs are typically sponsored by civic groups and charitable foundations, as well as by colleges and universities. Many scholarships for students of Italian descent are supported by private foundations with close ties to the Italian-American community. Typically, these are charitable foundations dedicated to the advancement of Italian-Americans in a variety of professional fields. Some scholarships sponsored by private foundations for Italian-Americans may be subject-specific, while others may require that students be able to trace their family roots to specific regions of Italy. The following are examples of scholarships for Italian-Americans sponsored by private foundations or charitable organizations. The Justinian Foundation was founded in 1935 to support attorneys of Italian ancestry in and around Philadelphia, Pennsylvania. The foundation offers an annual scholarship for third year law students who are members of the Justinian Society. To be eligible, students must have Italian parents or grandparents and must have a record of service to their school and community. Awards are determined on the basis of academic achievement and financial need. The maximum annual award is $1500. The National Italian-American Foundation offers annual scholarships for students of Italian ancestry. The NIAF scholarship is merit-based, and students must have a minimum GPA of 3.5 to be considered. Eligible applicants must be members of the NIAF, or the dependent child of an NIAF member. Scholarships are available for undergraduate, graduate and post-graduate students. Award amounts range from $2000 to $12,000. The John R. Mott Scholarship Foundation provides scholarships for students from the Calabria region of Italy. Eligible applicants must be pursuing a professional degree at an accredited college or university. Awards are determined by academic merit and financial need. The maximum annual award amount is $10,000. The Order Sons of Italy in America administers the Henry Salvatori Scholarship for General Study. This scholarship is open to all high school seniors of Italian descent who are planning to enroll in an undergraduate program at an accredited college or university. Applicants must submit two letters of recommendation, and a 1000 word essay on the Declaration of Independence, the Constitution and the Bill of Rights. There is a $30 application fee. Award amounts vary, and are determined by course of study, total cost of attendance and financial need. Many Italian-American civic groups and service clubs offer scholarships for students of Italian descent. These clubs and societies typically operate at the local level, and their scholarship programs may only target those students from a particular state or community. Again, these programs may require that students be able to trace their lineage to a specific town or region of Italy. Students looking for financial aid for college should contact their local Italian-American clubs for information on possible scholarship programs for which they may be eligible. The following examples should illustrate the types of scholarships available from Italian-American civic groups. The Augustus Society is an association of Italian-American executives and professionals in Clark County, Nevada. The society sponsors an annual $1000 Scholarship for students of Italian ancestry. To be eligible, applicants must be legal residents of Clark County, and must be enrolled full time at an accredited college or university within the state of Nevada. The Italian Catholic Federation sponsors annual scholarships for Roman Catholics of Italian descent. Applicants must be active members of a Catholic diocese in Arizona, Illinois, Nevada or California. Scholarships are available for students at every stage of the college career. Awards are determined on the basis of academic merit, community service and financial need. Award amounts range from $400 to $1000 per year. The National Organization of Italian Women offers a number of scholarships for women of Italian ancestry who are pursuing their undergraduate or graduate studies at an accredited college or university. Scholarships are available for students in the Greater New York and Greater Washington D.C. areas, as well as students in Connecticut and Rhode Island. Award amounts vary, and are determined by a combination of academic merit and financial need. A limited number of scholarships for Italian-American students are offered by colleges and universities around the country. These programs are typically the result of private endowments from successful Italian-Americans who wish to give something back to their community. 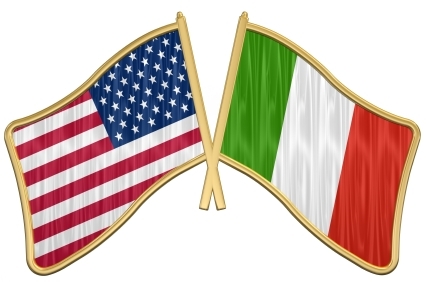 Students of Italian ancestry who are searching for campus-based scholarships should look to those colleges and universities that are located in states with large Italian-American communities. The University of Cincinnati College of Nursing administers the Alfred Heil Scholarship. An annual award of $1500 is available to Italian-Americans enrolled in an undergraduate or graduate nursing program at UC’s College of Nursing. Awards are determined on the basis of financial need. The UCLA Department of Italian administers the Althea Caravacci Reynolds Undergraduate Research Award for students engaged in studies related to Italian Language and Culture. Applicants must have a minimum 3.5 GPA, and must submit a written proposal describing the purpose of their research project. The annual award amount is $2500. College-bound students of Italian ancestry can take advantage of an impressive array of scholarship programs designed to help them achieve their educational and professional goals. Whether sponsored by regional civic groups or national organizations, these programs continue to provide financial assistance to Italian-Americans struggling to meet the costs of a college education.